A rare phenomenon illustrates how cold it at the Foggy Bottoms Resort and Spa. 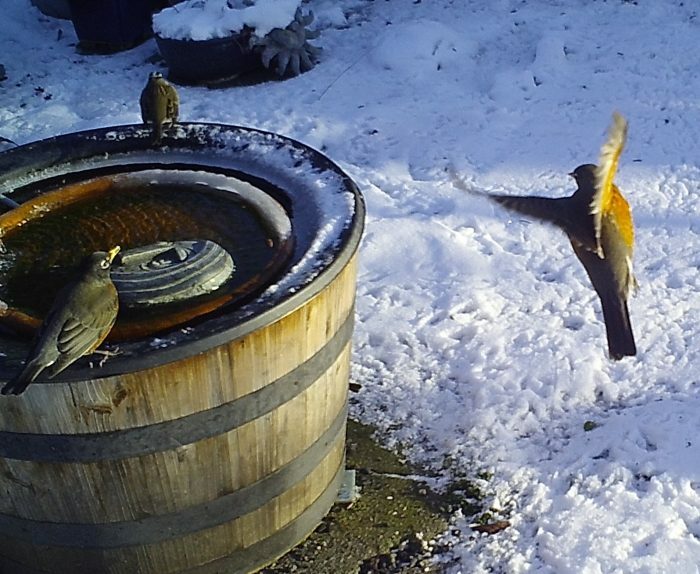 It is so cold that the Towhee slipped on thin air. the Face of Everyman tried to calculate the odds of this event being caught on camera. The American Robin and White-crowned Sparrow are eye witnesses and think of it as a spiritual event. A sign perhaps.